Dahala-Khagrabari (Bangladesh) (AFP) - Chapala Barman is heartbroken as she contemplates leaving the home she has known all her life ahead of a historic land swap between Bangladesh and India that will divide her family. The exchange at midnight on Friday will end one of the world's most intractable disputes that has kept thousands of people in limbo for nearly 70 years. But it will also rip apart families like Barman's, leaving some stranded on one side of the border while relatives relocate to the other. The 60-year-old Hindu is preparing to leave her home in Dahala-Khagrabari, a small island of Indian land inside Muslim-majority Bangladesh, with three of her sons. She will have to leave four other grown-up children and their families behind in Dahala-Khagrabari, which is about to become part of Bangladesh. Her three daughters have married Bangladeshis, making them ineligible to move, like her eldest son who was not counted in a joint census of the enclaves conducted in 2011. "These days I can't stop my tears thinking how can I live without them," Barman told AFP ahead of the handover. "My grandsons call me by mobile phone, saying 'grandma, please don't go'. My heart pounds with fear when I hear a mobile phone calling." The two nations will hoist their respective flags in 162 enclaves -- 111 in Bangladesh and 51 in India -- at one minute past midnight (1801 GMT Friday) to assume sovereignty over the territories following a border agreement in June. For many of the 50,000 people living in the enclaves the exchange means an end to 68 years of struggle, cut off from their national governments and unable to access vital services like hospitals and schools. But it has also meant choosing between staying put and adopting a new nationality or leaving the homes where their families have lived for generations. The vast majority will stay. 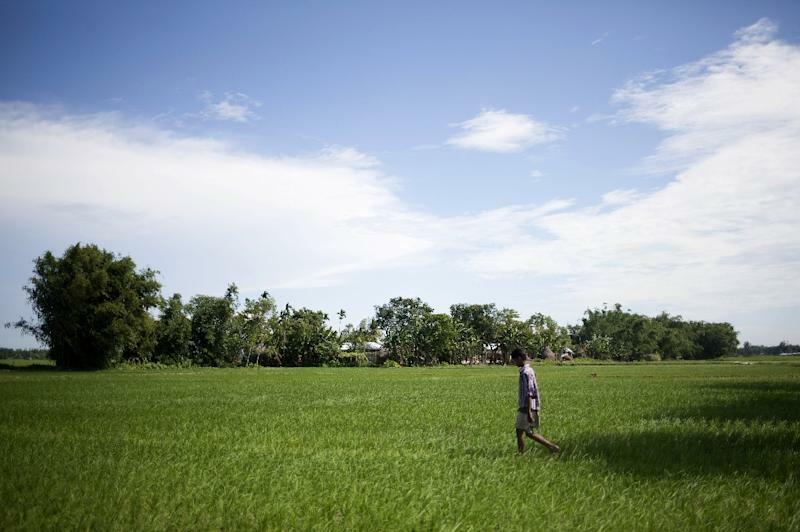 But around 1,000 people on the Bangladesh side have opted to keep their Indian nationalities, meaning they will have to relocate by November. In Dahala-Khagrabari, around 400 kilometres north of Dhaka, Muslims who had chosen to become Bangladeshi citizens were rehearsing their new national anthem and preparing to celebrate. But in Hindu-dominated parts of the enclave, the atmosphere was tinged with fear and uncertainty. Jiro Bala, a 75-year-old Hindu, is ready to leave, and has even put by 100 kilos of rice and lentils for the journey. She recalls how her family was forced to leave their home for the Indian mainland during Bangladesh's 1971 war of independence with Pakistan. They returned to find their homes looted, and more recently she says, the residences of some Hindus were torched. "We suffered in India because we left empty-handed. But this time I am prepared," said Bala. Those leaving are doing so for a mix of reasons, some economic and some religious. Santaram Barman, 65 and a devout Hindu, wants to see out his days in a Hindu temple in Siliguri, in India's West Bengal state which neighbours Bangladesh. For others, the decision over whether to leave has not been so straightforward. Srichandi Barman and his brothers were all set to go to India until one day their parents bluntly refused to leave. "They told us they would rather die here... We tried to persuade them, but they would not budge," said Srichandi. 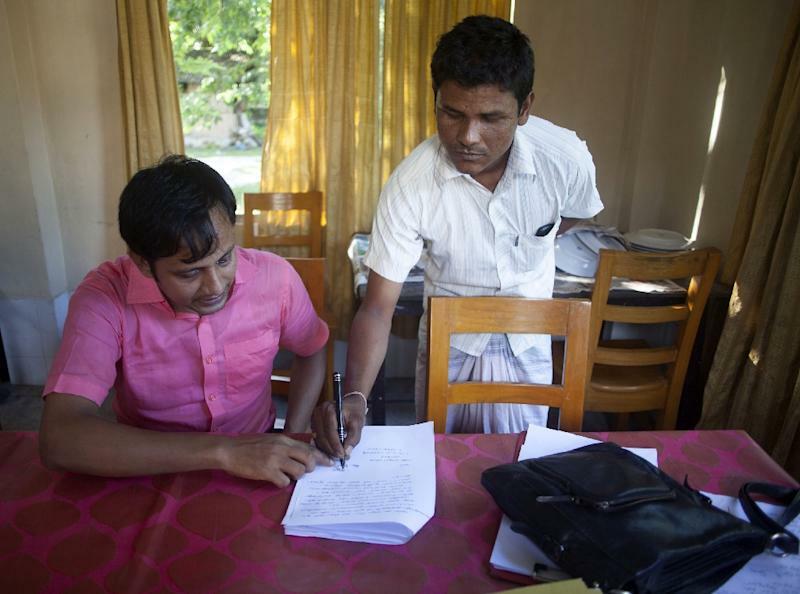 So on Thursday, just a day before their enclave was due to be handed over to Bangladesh, Srichandi and his brothers rushed to the district town of Debiganj to try to cancel their applications to move to India. Debiganj chief government administrator Shafiqul Islam said 42 people had made such last-minute applications, and their fate would now be decided by Dhaka and New Delhi. Such decisions have torn families apart, with ambitious young people moving to India and leaving behind parents who are either afraid to move or just want to stay where they grew up. "I told my sons who are going to India that if my heart says no, they can't keep me there," said Chapala Barman as she wiped away her tears with her sari. "I'll start walking back to Bangladesh. I won't be scared, even they shoot at me."